I had a few requests for this and finally got around to it. 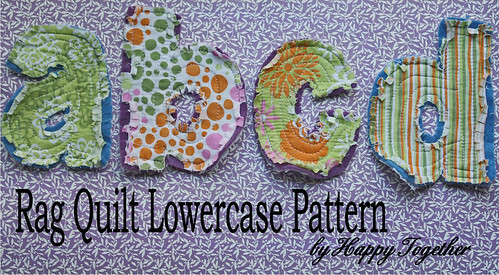 Go here to download the pdf pattern to make the lowercase letters. They are smaller so they complement the uppercase letters. 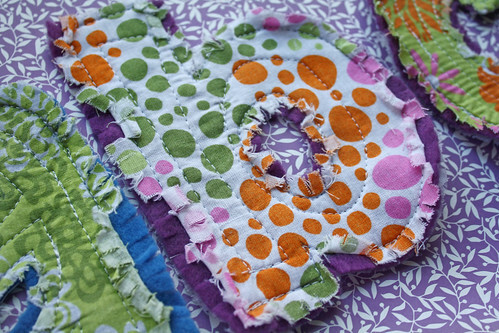 Here is the original tutorial for the rag quilt letters to follow. I used felt in the middle this time instead of quilt batting. I like the outcome. They are sturdier this way. These are great! Awesome idea to put felt in between! I made a couple of sets of the uppercase letters for Christmas presents. Everyone said they were cute. I LOVE the idea of using felt instead… Now I’m going to have to make some more for my little ones. Do you think there is such a thing as too many letter toys??? Nah! Thanks for sharing such great ideas with us! This is fabulous! Thank you…I’ll probably make some of these soon! Awesome awesome! Yay! Thank you so much for this. I made the uppercase ones and these will be perfect mates! I love the felt idea too. Did you use wool or acrylic felt? Would it be okay to use either or? It would be fine to use either. I used the el cheapo acrylic kind from a craft store. Yayayayay! Thanks so much for this, I love these! I’ll be linking. ooooooh I love that idea! You are so creative! These are so wonderful! What a great idea. My 22 month old daughter is so into the ABC’s right now – she would love this. BTW, just found your blog several months ago and am loving it! Thanks for the post!! You’re the best–thank you for sharing! WOW…I love these… I have some little ones in my family that will be seeing these in the near future…the great thing about being a great aunt. Thanks! these are great. I have the uppercase ones in the back of my mind to try but now I just might have to do both sets at the same time! Thanks for the inspiration! I made a set of the uppercase ones for a gift this Christmas. I used fleece in between (it’s what I had on hand. The little boy I gave them to loved them! They were a lot of fun to make too. Thanks for the awesome idea. 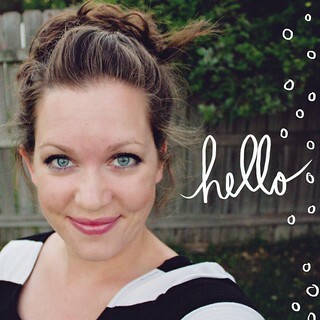 hey there, I LOVE YOUR BLOG…so i am nominating you for a lemonade stand award! Thanks for posting a pattern for lowercase letters! I loved the uppercase letters you posted before too. Great idea using felt instead of batting – I plan on making these one day and I think I’ll try it with felt. Thank you soooo much!! I can’t wait to use these letter patterns! I’ll be featuring! Thanks! I’m going to have to make some of these!